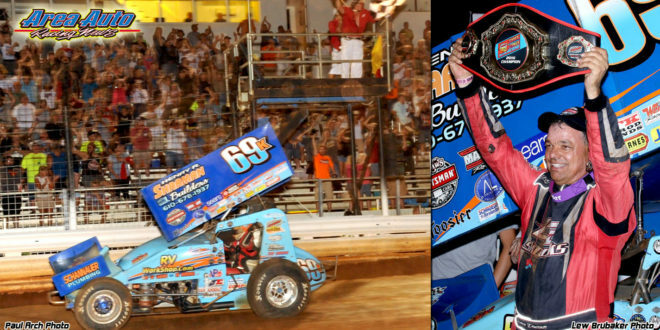 Williams Grove’s Summer Nationals World Of Outlaws 410 Sprint Car race is a very big deal. It pays $25,000 to win. It brings out the best in the region’s Sprint car teams. It’s a race they all want to win, to beat the World Of Outlaws at their own game. Lance Dewease, Don Kreitz, Jr., and Davey Brown won it last Saturday. They were good in that they were fast enough to be in the lead. They were lucky in that they had run out of fuel just as a refueling stop was being called. Brought together by adversity, driver Dewease, owner Kreitz and mechanical mastermind Brown have made headlines often this year. This one was a Newsmaker!